I couldn’t find the source for this quote (every place I searched noted it as “Author Unknown), but I loved it and found it very inspiring for those times I just don’t feel like writing. By the way if this quote is yours, please let us know so we can give credit where credit is due. 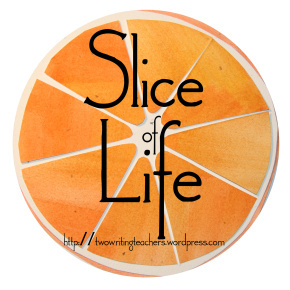 Welcome to the Slice of Life Story Challenge on this great Tuesday. We are so glad you are joining us today. Memorial Moments before the Memorial Service – It’s been a tough few days. Plunking down some words because it’s what I do on Tuesday, and yes, it’s still Tuesday on the west coast! Almost didn’t make it – creating my dreamboard for month ahead. an ordinary day (but it will be more than ordinary if the Mets win Game 1 tonight). It took a lot of effort to go to school today, but I’m glad I did. I’m probably going to catch a lot of grief for this one. It’s almost Halloween. I’d better buy some ice cream. Thinking about balance, and how I’m doing doing so well with it right now. Teacher life calls for funny friends! I had a proud teacher moment last week…and it didn’t even happen in the classroom! I’ve been quiet here lately….but this weekend I had a DO NOW and a NEVER will do moment! A Record of Me. In calendar form. I’m trying to be nice here. Some thoughts on the recent Keystone State Reading Association Conference that I chaired. A little more on the PCTELA conference I attended. Some times you just have to be flexible with plans. It’s Fall, time to make some changes. 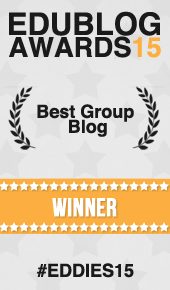 Today I am sharing – something unexpected that happened as a parent in education. Shoe shopping with my granddaughter. I did it! #NaNoWriMo is coming! My draft of my personal narrative, started during Ryan Scala’s workshop at the TCRWP Saturday Reunion. Changing it up. After writing for a week about TCRWP, today’s slice is a story of two readers . . . .
We forget how much power we have to make a difference in reader’s lives. Such a great slice to start my day that ends with chairing the Language Arts Committee. Thanks, Vicki. It’s a slice I have been considering for awhile. I just couldn’t find the “right angle” for awhile! I didn’t see a link to your blog. Would you mind leaving the link below? How I got my new last name. I don’t miss bad habits. A post about being earthed to the her,mother now.